Found in 1969, Gap is most-recognized for its casual, cool American style. In Fall 2015, Gap wanted to shift from its crisp whites and indigo blues of summer to a bold, black backdrop for fall. 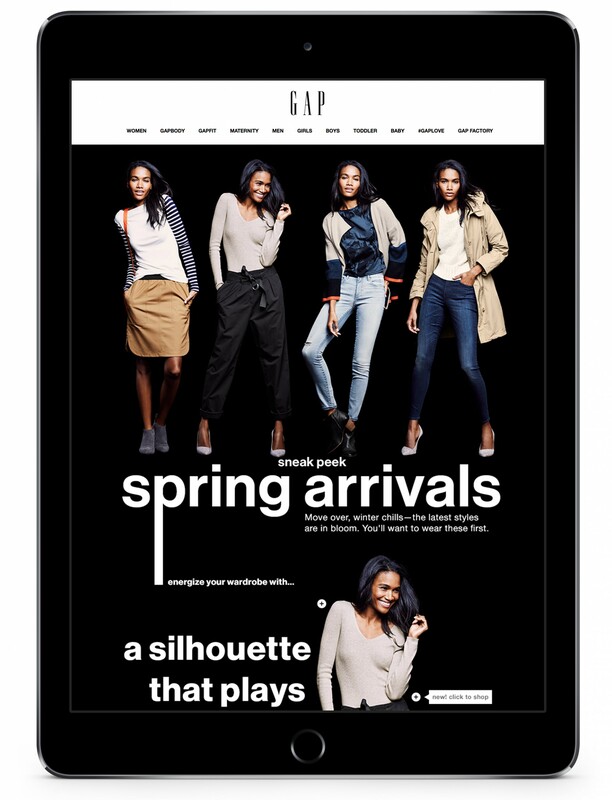 Embracing the high-contrast and the user's habit to scroll vertically, I concepted and executed an interactive lookbook with shoppable UI functionality to live on Gap.com.